Battery on a law enforcement officer is a charge separate from a standard assault and battery charge that carries more severe penalties, as it is filed against someone who is accused of attacking a police officer. People are often surprised by the actions that can constitute battery on a law enforcement officer. For instance, a person does not have to attack the officer to face charges for this crime. Shoving or even touching a law enforcement officer is all it takes. In one case a client simply knocked a parking booklet from the cops hands and was arrested for Battery on a Police Officer. Those charged with resisting arrest are often also accused of battery on a law enforcement officer. There are many different scenarios where someone is charged with battery on a law enforcement officer or resisting arrest, ranging from kicks to punches, to even touching the officer’s arm. The degrees of battery on law enforcement vary in their intensity. Unfortunately, you can touch an officer without consent and still be charged with the same offense as if someone bit an officer, which is obviously a lot more serious. The degree of the felony is major consideration as if you’re planning on becoming a professional, or if you already are a professional, you can lose your license, or lose your ability to even apply for a license with that charge. If you’re an illegal alien, you could face deportation. If your words are threatening and in addition to those words you take some physical act, like a step forward towards the police officer, or if you raise your arms for police officers while you’re threatening them, you could be charged with battery on law enforcement. Engaging in violence or threatening to engage in violence with any of the previously mentioned individuals can warrant charges for battery on a law enforcement officer. The penalties you face are outlined by the state but can quickly intensify depending on your criminal history and the full extent of your charges. Per Florida Statute § 784.07, battery on a law enforcement officer in the state of Florida is a third-degree felony, punishable up to five years in prison and a $5,000 fine. Client was charged with battery on law enforcement. We got it dropped to resisting without violence. There was no probation, no jail, and no conviction. The client just had to pay court cost and cost of investigation. The typical sentence varies a great deal. In most cases, the person is looking at probation, community service hours, a letter of apology, and maybe counseling. However, with the help of an attorney, these charges can be reduced to a simple misdemeanor called battery. When you see repeated behavior, like someone who has been in and out of the system for resisting arrest without violence, there is a possibility that the individual has an anger problem or issues respecting authority figures. In such cases, you’ll often see the prosecutors asking for jail time or anger management counseling. What we do in similar cases is immediately get them in for forensic counseling to help get to the root of their behavior and perhaps diagnose them with a psychological condition as it relates to their inability to respect authority. Was I simply taking actions to protect myself when a police officer attacked me in a heated situation? Did the police officer use force without reason? Was pepper spray used during your arrest? Did I even know it was a police officer because they were wearing all black? Excessive Force: You were defending yourself as a result of an officer using excessive force during an arrest (whether lawful or unlawful). Incidental Touching: Body movements or unintended actions that were not meant to make contact with the officer. Reflexive Actions: Your body had a reflexive response to pain that resulted in you involuntarily touching the officer. Lack of Knowledge: You were unaware that the individual you were involved with was a law enforcement officer. Not Engaged in Lawful Duty: The officer was not lawfully executing a duty at the time of the alleged interaction. Every case is different, which is why it is essential that you secure legal help early on that can help protect your freedom. At The Umansky Law Firm, our Orlando criminal defense attorneys have over 100 years of experience and are former state and local prosecutors. We understand the types of one-time mistakes that can often lead to these unique assault and battery charges and believe that you deserve a second chance. 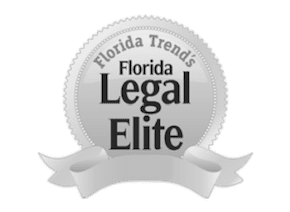 Even after 20+ years, we are still committed to giving second chances to clients in Orlando and throughout Central Florida through the application of proven effective criminal defense strategies. Contact us today at 407-228-3838 for a free case evaluation.